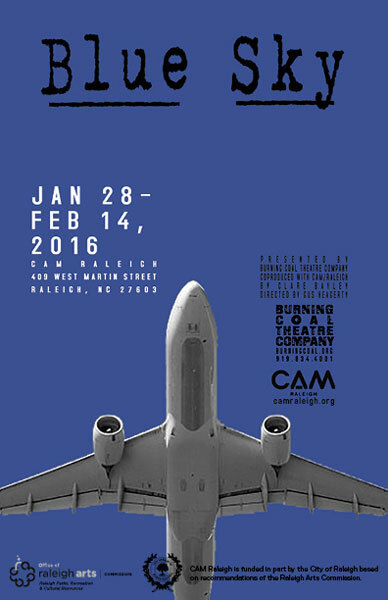 Join CAM Raleigh and Burning Coal Theatre Company on Sunday, January 31st at 1:00 p.m. for a Tactile Touch Tour of the Blue Sky Set. Following the tour will be a 'Pay What You Can' Blue Sky performance starting at 2 p.m. Audio Description will be provided for the performance. This event is a collaboration with Arts Access of Raleigh. Arts Access is a nonprofit organization whose mission is to make the arts accessible to people with disabilities.